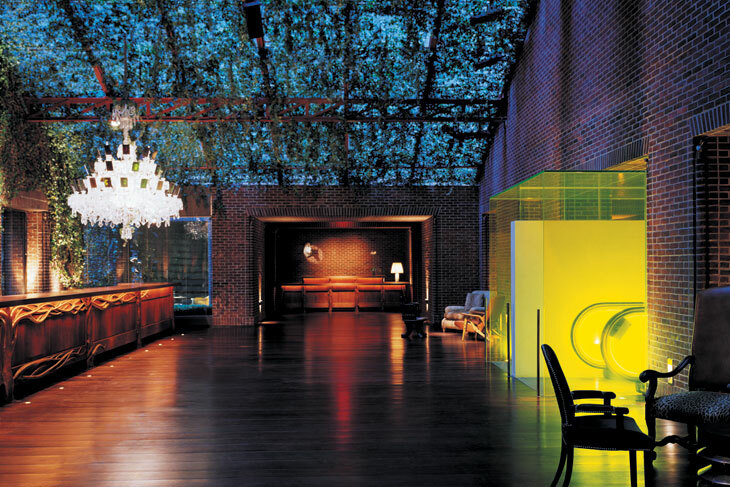 Located just two blocks away from Central Park, the Hudson Hotel is a luxury, boutique hotel located in the heart of Midtown. The brainchild of designer and Hansgrohe-collaborator Philippe Starck, the hotel boasts unique design and architectural elements throughout. The hotel includes a beer hall, a Sky Terrace with spectacular city views and the Hudson Lodge, New York City's only ski-resort themed bar. The bedrooms of the hotel resemble ship cabins, with clean lines and rich wood paneling. 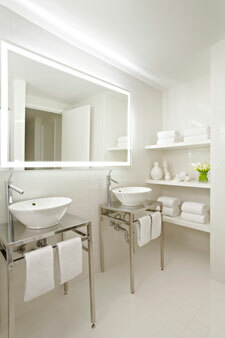 The bathrooms in the hotel feature faucets from the Axor Starck collection, which elevates the rooms' stylish decor.